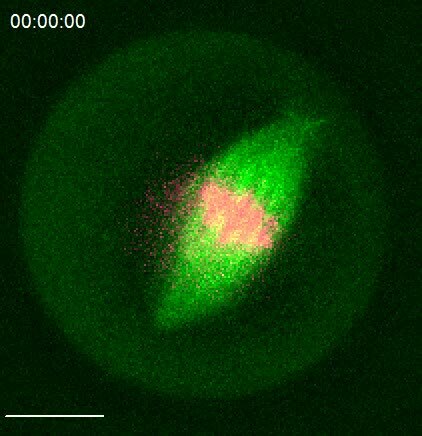 Live meiosis I. Meiosis I was lived imaged in male maize cells via fluorescence microscopy. Spindles are labelled via CFP-tubulin (β-TUB1) and pseudo-colored green. Chromosomes are labelled with SYTO12 DNA stain and pseudo-colored magenta. The scale bar is 20 μm.